Lewis Hamilton labelled his second world championship the "greatest day" of his life and paid tribute to title rival Nico Rosberg's humility after the Abu Dhabi Grand Prix. Hamilton passed pole-sitter Rosberg into Turn 1 and controlled the race from that point on, with his Mercedes team-mate falling out of contention with an Energy Recovery System (ERS) failure. It ended a six-year wait for a title for Hamilton and he said it was much more special than his maiden triumph for McLaren in 2008. 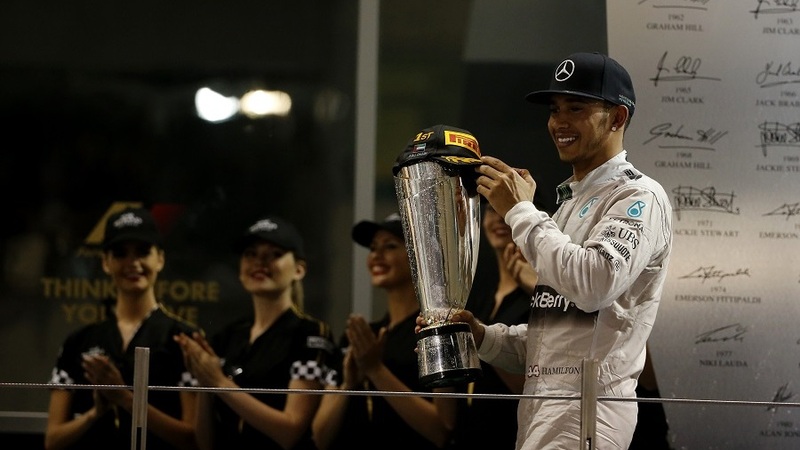 When asked how he would celebrate, Hamilton said: "I don't know, I'm going to take it one day at a time. This is the greatest day of my life and it's really due to all the people around me. 2008 was a special time in my life but the feeling I have now is way, way beyond that. It's the greatest feeling I've ever had. I'm grateful to God and grateful for my car finishing - grateful for everyone." Hamilton thinks his start off the line could be the best of his career and says it eased his strategy significantly. "It was like a rocket, probably the best start I've ever had. I knew straight away I was in the lead. Going into the race I had a few options of how I could start the race but I knew if I was ahead I knew had to really, really race. The car was fantastic, we really got it spot on for the race. Qualifying wasn't perfect but we got it perfect for the race." After the race Rosberg came to the weigh-in room to congratulate his team-mate and old friend Hamilton on victory, something the new world champion paid tribute to. "Nico put on an incredible fight throughout the year, he was a phenomenal competitor. We met back in 1997 and we always said it would be amazing to be racing in the same team and fighting for a world championship. He did an amazing job today and I'm very sad to know his car wasn't quick enough to fight at the end, but still he was graceful enough to come up to me at the end. He came into the room just now, very, very professional, and just said 'fantastic job, you drove really well'. Same for him, he drove really well, especially in qualifying, so hats off to him."